Location: Located along Cromakill Creek, south of Eastern Brackish Marsh, and bordered to the west by West Side Avenue in Secaucus, Hudson County. Site Description: This site is a tidal marsh dominated by common reed (Phragmites australis). The current conceptual restoration plan includes increasing tidal flow and exchange, restoring intertidal wetlands, and reintroducing native wetland species. The adjacent upland area to the south of the site is owned by the same property owner. This site has also been known as the Cromakill Marsh. HMD regional data exists inclusive of this site. Owned by Eugene E. Mori. A Jurisdictional Determination was issued in 2001. Wetland assessments performed in 2003. Site Description: This site is a tidal marsh dominated by common reed (Phragmites australis). The current conceptual restoration plan includes increasing tidal flow and exchange, restoring intertidal wetlands, and reintroducing native wetland species. The adjacent upland area to the south of the site is owned by the same property owner. * – Report repeated under multiple data categories and/or sites. Relevant survey, mapping, and GIS data for the Meadowlands can be found in the Meadowlands-wide site report under data category A.
Mori Tract is owned by Eugene E. Mori. 1. *The Louis Berger Group, Inc. Hydrogeomorphic (HGM) Functional Assessment Model and Guidebook for Tidal Fringe Wetlands in the New Jersey Meadowlands. 2003. 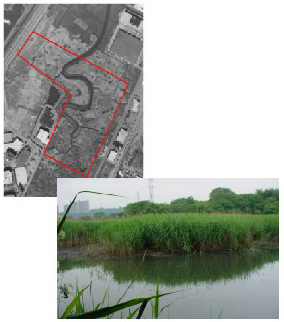 [1a](http://merilibrary.meadowlands.state.nj.us/dbtw-wpd/FullText/HGM_guidebook_RVSD.pdf) A hydrogeomorphic functional assessment model and guidebook for tidal fringe wetlands in the Hackensack Meadowlands was completed. The HGM model can be used as a tool to help determine wetland functions and values and to approximate compensatory wetland mitigation. Map-based and on-site field data (including amount of aquatic edge, channel density, vegetative cover, habitat, soil texture, and tidal inundation) were collected from the reference wetlands and used to refine data collection forms, calibrate model variables, and improve the conceptual HGM functional models. Reference sites included Skeetkill Creek Marsh, Meadowlark Marsh, Lyndhurst Riverside Marsh, MRI, Western Brackish Marsh, Mill Creek Marsh, Eastern Brackish Marsh, Mori Tract, Walden Marsh, Oritani Marsh, Harrier Meadow, Anderson Creek Marsh, Kearny Brackish Marsh, and Riverbend Wetlands Preserve. 2. USACE. Jurisdictional Determination: Mori Tract Site (Application. No. 2001-00328). 7/6/2001. A jurisdictional determination was performed by the USACE in 2001 for the Mori Tract, Block 227, Lot 9 (Part) and Block 443, Lot 2.